After a long pause, the fMSX-Unix port was finally updated. fMSX-Unix source code is once again available as part of the core source code distribution. It has been debugged using Ubuntu (Linux). In case of any incompatibilities with other Unix flavors, contact the developer. Added run-time compatibility with 8bpp, 16bpp, 24bpp (32bit pixels) and 32bpp screen depths to fMSX-Unix. Important note: at this moment, the built-in config menu, debugger, and NetPlay dialog will only work at X11 screen depth that matches the original compile-time setting (i.e. DBPPxx) in Makefile. Make sure you always compile fMSX-Unix for your default screen depth. Renamed KeyMap to KeyState to avoid name clash with the MacOSX system API. After this, run the resulting binary from the fMSX/ROMs dir. Ro: you should at least check this one as well. Ta da... Unix version. And according to fMSX sources, Marat now got himself a MAEMO-based Nokia Internet Tablet. Just tried to run it in Cygwin/X. Unlike the previous Unix version, this one don't want to start and fails. In Console.c put attention that Cygwin does not implement d_type and such, so you will need to workaround this somehow. In fact, I was wrong when I told that fMSX 3.0 compiled OK on Cygwin without patching - after checking I see I had to patch SndUnix.c on it too, but the most important thing is that Cygwin lacks MITSHM support, and it should be disabled in compilation options. but after that emulator hangs. I also tried to compile fMSX 3.5 on a remote United Linux machine. Had to disable MITSHM, add keysym.h includes and specify -L for X11 library too, but it worked. Thanks, I will put the OutImg fix and #include the keysym.h. Still not sure what to do about the soundcard stuff though: it seems to sit at different locations even in different Linux flavors. Do not do -home ../ROMs, as that directory contains several incompatible ROMs. Copy only the ROMs you need to a separate directory and use it as -home instead. Using selected ROMs doesn't help - in Cygwin fMSX 3.5 hangs. 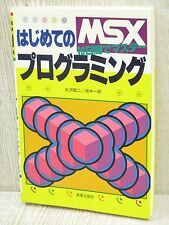 For msx2 - after MSX logo, for msx1 it even doesn't open X window. I even commented out and disabled net, debugger, console, serial, printer, tried different X server, attempted -sound 0 and other options - the result is the same. It really looks strange - like some memory corruption, that manifests itself in CYGWIN. Of course, keysyms.h and MITSHM required patching too. Would be nice (if you are not planning to create ./configure) to document these changes in rules file or in makefile at least . on Solaris fMSX hangs without opening window at all, like on Cygwin. But this time you won't see window even in msx2 mode. fms, would you like to fix this new Unix version ? I believe it doesn't run on both Cygwin and SunOS for the same reason. >Using selected ROMs doesn't help - in Cygwin fMSX 3.5 hangs. I do not think it is a memory corruption (there ain't too many places in the code where it may happen). It may be something related to timer signals in Cygwin being handled differently though. >Of course, keysyms.h and MITSHM required patching too. >these changes in rules file or in makefile at least . Some I will fix right away, others I will comment about in the makefile. >on Solaris fMSX hangs without opening window at all, like on Cygwin. >But this time you won't see window even in msx2 mode. > doesn't run on both Cygwin and SunOS for the same reason. I no longer have neither Cygwin/X11 nor Solaris, so it will not be possible for me to debug on these platforms. Fortunately, due to the freedom of open source, you can probably investigate the problems further and tell me what the cause is Once you do that, I will fix the code as required. After debug session with fms I see that I was right about memory corruption (was fixed and Cygwin/X port works now) but I was totally wrong about SunOS - it still doesn't open X window until I comment out WaitSyncTimer(). Also I think the palette on SunOS is broken - MSX logo starts with green background, etc. The WaitSyncTimer() thing can be avoided from command line, by using '-nosync' option. As to the colors being wrong, Solaris X11 may be using a pixel format different from the one assumed by fMSX. Check out with xwininfo and tell me what it says: I am mostly interested in pixel formated related stuff (color bitmasks etc). See if this fixes the hangup on Solaris. I've found nothing else in it's report that can tell you about colors. 2) suggested replacements for SIGALRM and ITIMER_REAL didn't help. 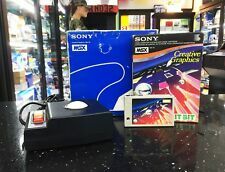 I still need "-nosync" to see fmsx X window. If by sound thread issue you mean the SUN_AUDIO thing, I have included this setting into Solaris-specific makefile. I have not received from you any emai about other sound thread issues, so let me know if it is something different. The SIGALRM and color issues will need some debugging though. and then exits ThrHandler itself, so I hear no sound in Cygwin. Setting SndRate right before pthread_create effectively solves the problem. I checked - wrong colors on Solaris were the same in fMSX 3.0, so this is not a new issue as I thought before. I can't get sound to work on my Linux system. Everything else is fine, especially after setting the depth to 32. Thanks, I see it is related now. I get music after adding "SndRate=44100;" however I still get crashes in Mahjong 2 at Speech, and in Rune Master 2 in the intro.